Helmut Richter visited the annual Helicopter Picnic event held by the 56.BLot Inowrocław-Latkowo in May 2018, a perfect opportunity to see the Polish Army Aviation assault helicopters. For the aircraft enthusiast, Poland is probably one of the most interesting countries in Europe, because the Armed Forces of the Republic of Poland (Siły Zbrojne Rzeczypospolitej Polskiej, abbreviated SZ RP) operate a large variety of aircraft, of which a major part is of domestic or still of Soviet origin. For this very reason, each edition of the Radom International Air Show is a prime attraction for military aviation enthusiasts and photographers. Significantly smaller, less well known and missing from many annual air show diaries are the annual Air Picnic (Piknik Lotniczy) events, which are held at most Polish air bases. These picnics typically are fairly small events with very limited foreign participation and only a short flying programme. On the other hand, they are very relaxed and mostly give good access to the equipment of the local units. 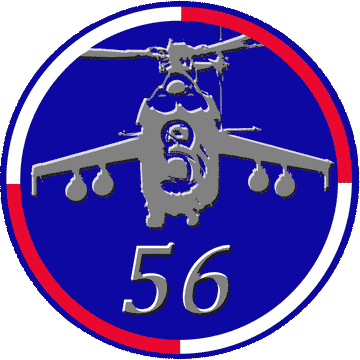 The 56th Air Base (56. Baza Lotnicza - 56.Blot) of the Polish Army Aviation (Lotnictwo Wojsk Lądowych – LWL) at Inowroclaw-Latkowo held its “6th Kuyavian Helicopter Picnic” (6. Kujawski Piknik Śmigłowskojy) on 19 May 2018. 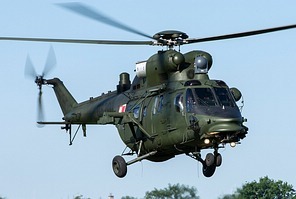 The 56.Blot is part of the 1st Army Air Brigade and is organised into three assault helicopter squadrons (ESSz- Eskadra Śmigłowców Szturmowych) and a support helicopter group. 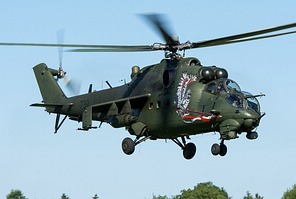 The assault helicopter squadrons are equipped with the Mi-24V (designated Mi-24W in Polish service) and assault versions of the PZL-Świdnik W-3 Sokół (W-3PL Głuszec) and PZL-built Mi-2 (Mi-2URP Salamandra and Mi-2URP-G Gniewosz). At the helicopter picnic, most of the Mi-24Vs had a 1.ESSz 30 year anniversary badge applied and two of them additionally featured a large graphic depicting an armoured knight on their sides. Participation by other Polish units was limited to just a Mi-2CH smoke laying helicopter from the 49.BLot. The only foreign participants in the static display were a CH-47F, a UH-60M and an AH-64D of the U.S. Army, which were very welcome, because the U.S. Army is not a frequent participant in European air shows. 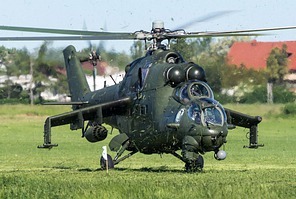 A Czech Air Force Mi-35, which participated in the NATO Tiger Meet, came over from Poznan for a flying display, but did not join the static exhibition. The helicopters used the aeroclub's airfield across the road as staging base for the flying displays. On the other hand, the event provided excellent opportunities for images of a large number of helicopters in the static display in perfect sunshine. In short, for someone travelling to the Helicopter Picnic at Inowroclaw with a focus on the local equipment like me, the small event certainly did not disappoint.